We're constantly looking to innovate our product ranges to make sure we have the best offerings around - and always at highly competitive prices too. We're always very careful to make sure that any new product ranges are specially tested and only selected if they meet our high standards. It's also imperative that we maintain a good balance of various price points across the site to ensure that we can always cater for everybody, no matter what the budget or requirements. A couple of our latest ranges and deals are below - so take a look through and let us know what you think! The Solar range is the latest of our stock options. 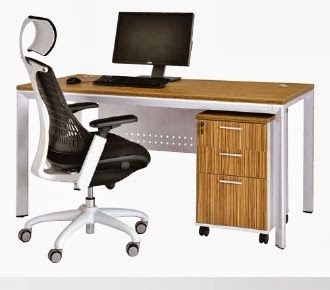 It has a white MFC finish, and the desks feature a silver four leg frame. A four person cluster - featuring screens, storage and seating too - is on special offer for under £1000 +VAT. This comes with our standard free delivery, and is available in around a week from ordering. Matching storage and meeting furniture are also available to compliment the range. As with all of our package deals, if you need any amendments making then please just let us know. 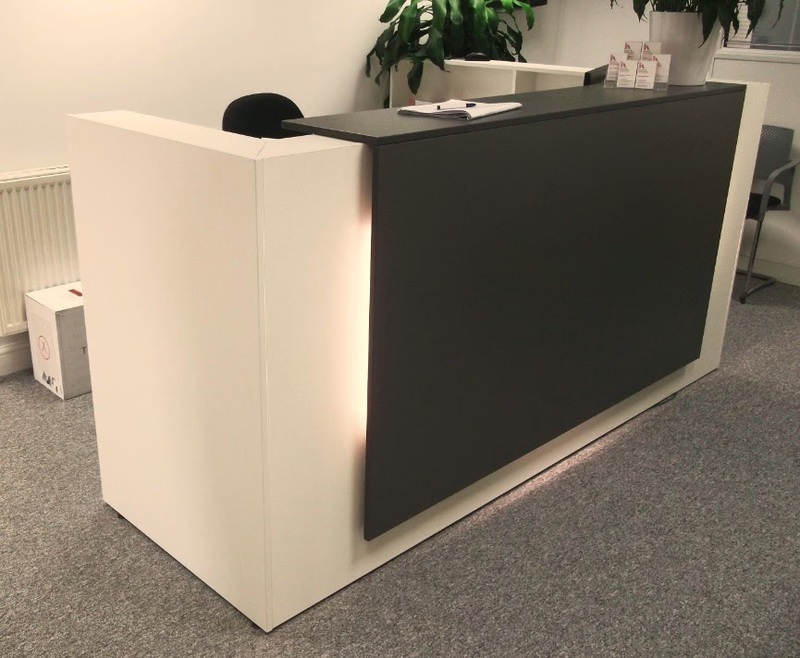 Our newest reception desk is proving to be very popular already! 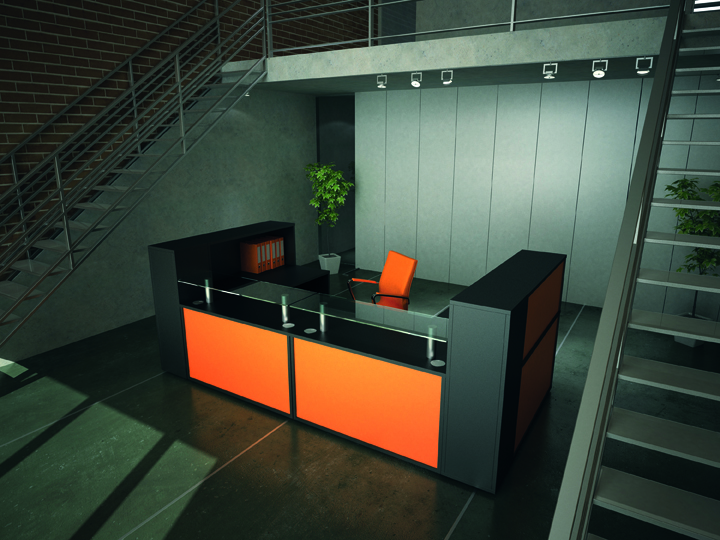 The Float desks offer a unique and stylish design, and is the perfect focal point in any reception space. It comes with a single finish as standard, but contrasting frontages and trims are available to really set your reception apart. This is a modular range, so if you need to amend any sizes or alter the returns then all you have to do is say the word! A straight 2000mm reception starts at under £1000 +VAT, and a 2400mm horseshoe shaped reception with two returns costs just £1964.25 +VAT. These are some of our favourite new ranges, but we're constantly updating and innovating our options so if there's anything in particular that you need then all you have to do is let us know and we can see what we can do. If we ever don't have what you need then remember we have a bespoke service, and can create anything you like to bring your imagination to life! 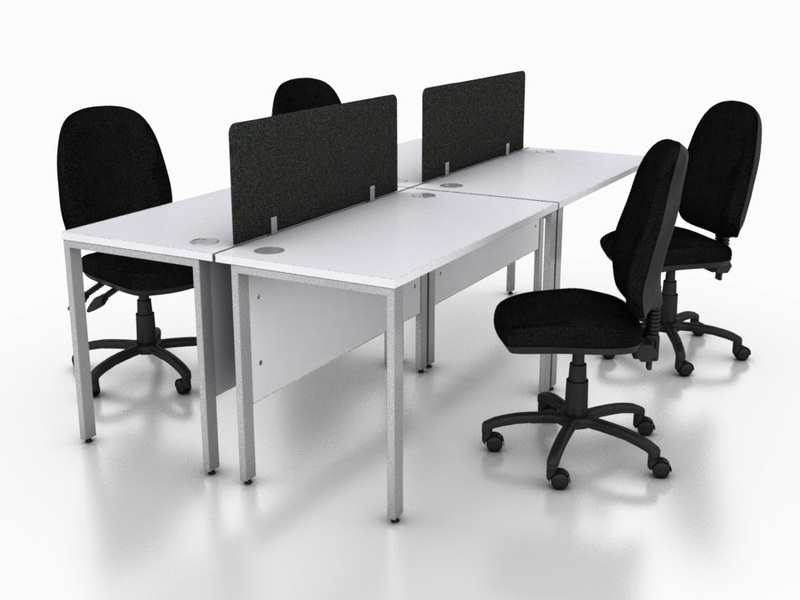 One of the most common enquiries we get, by quite some margin, is for bench desk configurations. We find that companies like the compact, team oriented nature of bench desks, and want to bring that to their own offices. 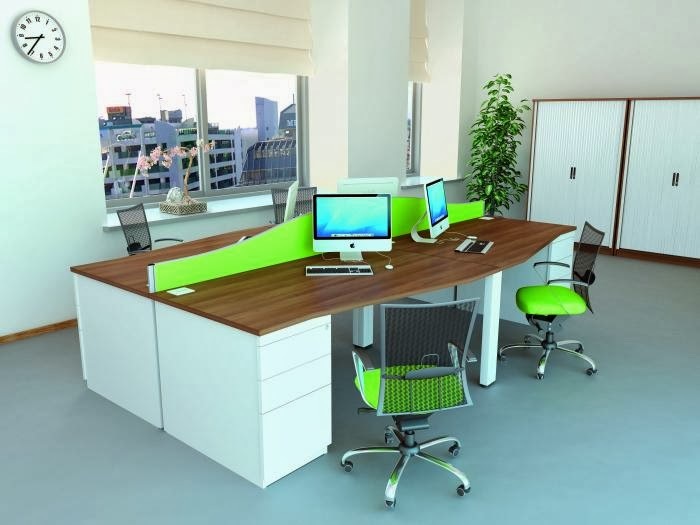 Bench desks are considered to be a cost effective and practical solution to the age old problem of space optimisation. Does that mean that bench desks are the best option for you and your office? They certainly do allow you to bring employees together in a cluster, and the shared leg element also helps stretch your budget too. Cable management is also a very pressing issue in the modern office, and bench desks are very strong on this point too. 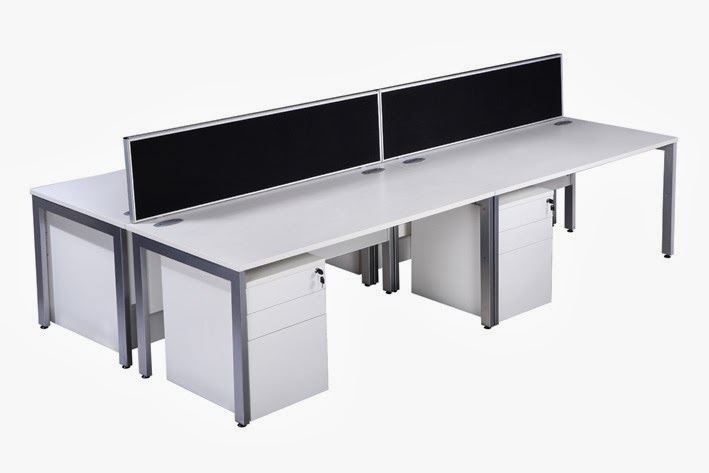 The nature of the frame means that most ranges offer sliding tops, which are perfect for allowing flexible access to a cable dump below the desk - another great feature of bench desks which has contributed to their popularity in recent years. Despite these strong plus points, the very nature of bench desks become their biggest issue. The shared legs remove the one thing that most modern and fast paced businesses yearn for: flexibility. Nobody can accurately predict where their business will be in the future, and if your company is going to move, grow or simply re-organise in the coming years then you could come to regret your investment in bench desks. 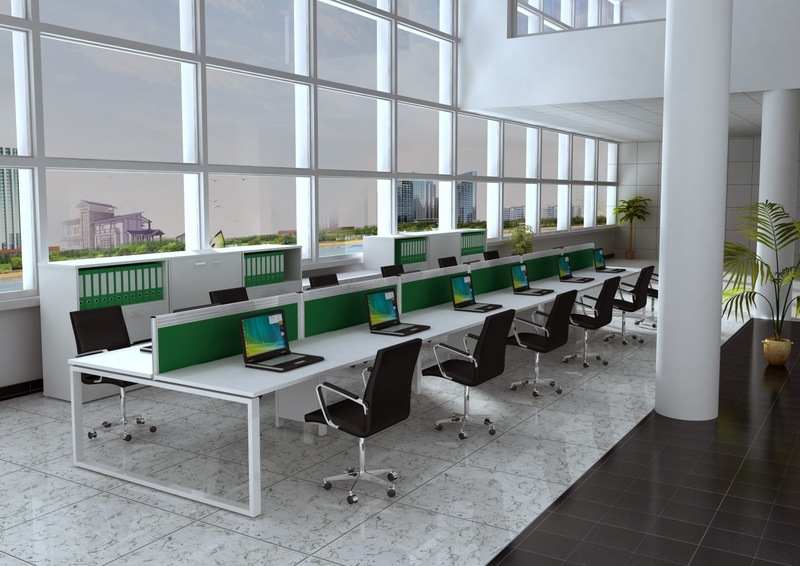 The illusion of bench desks can be created through a configuration of stand alone desks, which also maintain potential for flexibility and individuality when required. 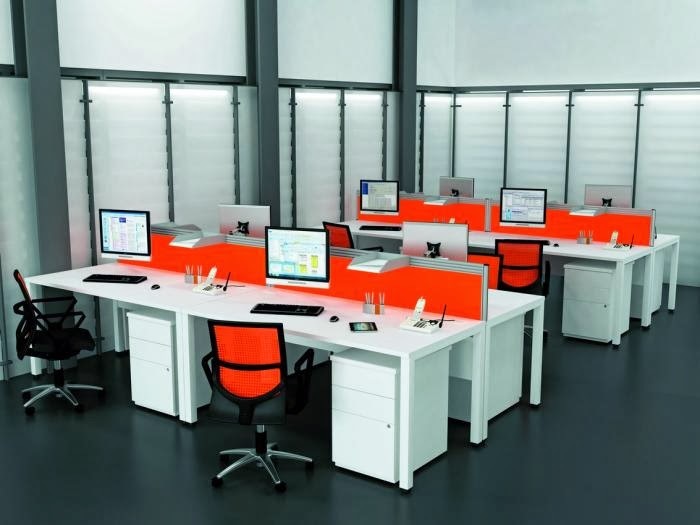 A configuration of stand-alone desks doesn't have to cost any more than a cluster of bench desks either, with some incredibly cost effective ranges available to be configured in a choice of styles. The Pure range for example has the option of adding an integral supporting pedestal, which is a very budget friendly way of bringing storage into your office. Alternatively if you want to maintain even more flexibility, then mobile under desk pedestals are a fantastic option. The Pure range offers a great choice of top shapes and finishes, but if you're looking for a more basic style then the O-Range white desks are the perfect solution for you. They're very simplistic, but can create the exact bench setup that many growing businesses' need - and are an exceptionally cost effective option! It's certainly worth bearing in mind therefore that, whilst you may require the bench desk effect, actual bench desks aren't always your most suitable option! All you have to do is give us a call, we'd love to talk you through your options and help you work through your choices. As a part of our plans to continually improve the products that we have on offer, and to create a 'one stop shop' for our customers, we've introduced a range of replica plants for 2014. 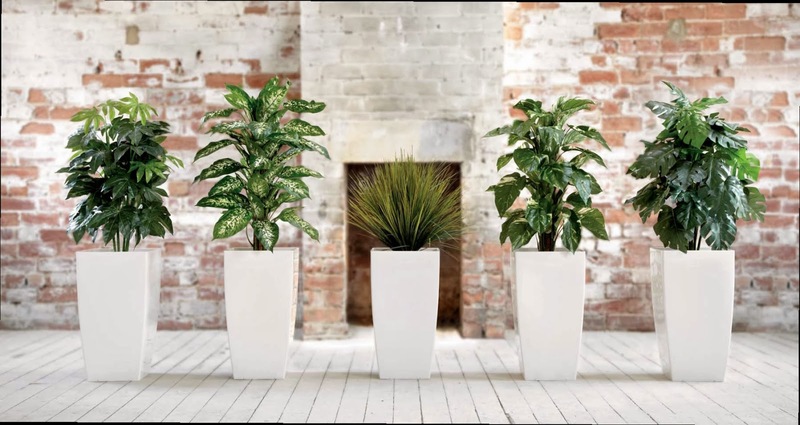 These ranges of various plants can provide the finishing touches to any office: they look great and create a really welcoming atmosphere for guests and employees alike. Our replica plants are unbelievably simple as well - they're delivered around a week from ordering, and are ready to display straight from the box! 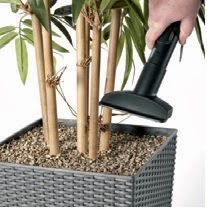 The fake plant ranges are incredibly durable, and can be positioned in the shade or high heat areas where real plants wouldn't be able to cope. They feature permanently bonded pebbles in the pot and a weighted base for maximum stability and tidiness. They're also quick and easy to clean - with a brush or cloth on the leaves and a handheld vacuum for the bonded pebbles. No spillages, no mess, and no hassle! There's also a range of ten different pots to choose from, with a choice of wicker or gloss finishes, to create the perfect ambiance based on your office environment. These come with a two year guarantee, and with the right care can last far longer than that. There's no risk of forgetting to water them, just position them and enjoy! One of the most common enquiries that we get is for a high gloss finish. Our customers love the idea of the bright, vibrant style but it's not always easy to come across. A strong criticism of gloss finishes is their perceived lack of longevity. They're known for scratching and marking easily, although this isn't always the case if they're properly looked after and treated well. 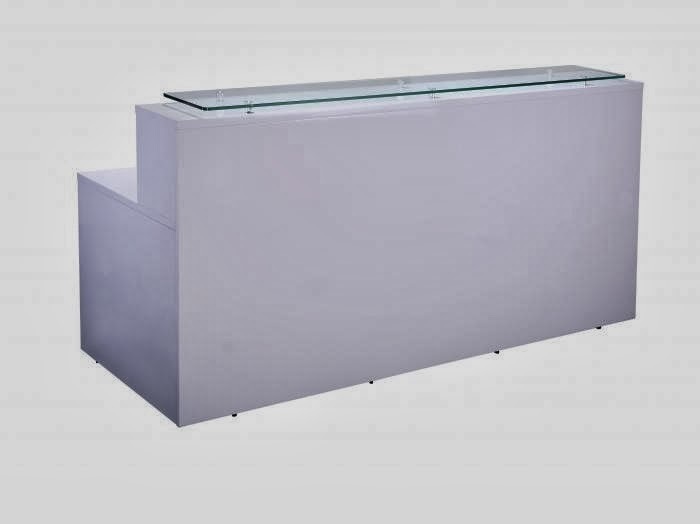 New for 2014, we've introduced a white gloss reception counter which we know you're going to love. It's 2200mm wide by 800mm deep as standard, and can have a 1000mm extension return optionally added to it - which makes it perfect for one or two users. The white gloss reception really is perfect for adding a fresh and clean finish to your entrance - creating a clinical and professional feel. The raised visitor facing section features a glass counter top to finish it off beautifully and is a really popular aspect of the new reception. We're really pleased with this new range, and we know you're going to love the design. Further to the style of the reception, we're also really confident that you'll love everything else about it too: the price (starting at under £990 +VAT), the lead time (often around a week from stock), the ease of assembly (although installation options are also available) and the overall quality of the range means it represents fantastic value for money. As always, we're available on numerous platforms to help you in any way that you need - so don't hesitate to get in touch by phone, email or on our Livechat if you have any questions at all. Our sales team are relaxed, friendly and never pushy, and we'll be delighted to help! 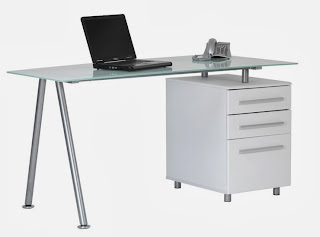 One of the most common enquiries we receive is about glass desks: 'I want one, but I don't want to break the bank'. 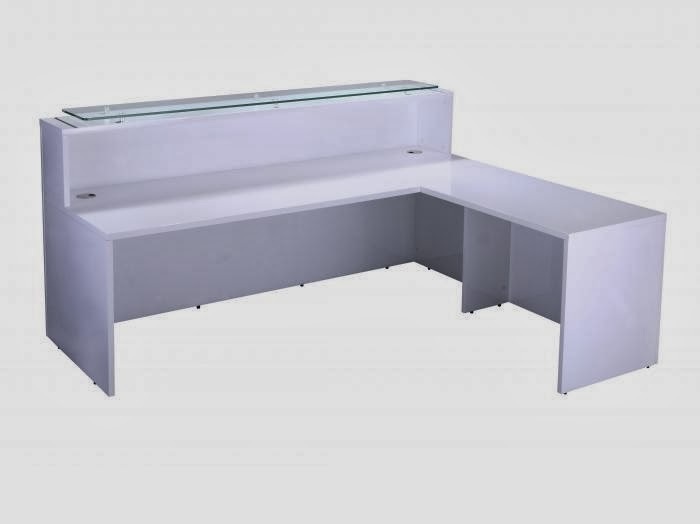 The reality of glass desks is that the really high quality glass designs that will last you for years without marking, scratching or damaging easily do come at a premium. We have some really stunning executive designs available, that are really unique and we know you'll love them... but what about our more discerning customers? We've recently introduced the Cleveland glass desk - a stock design which we think offers an excellent balance between style, quality, practicality and value for money. It features a white glass top and stylish angular satin legs, with a matching integral pedestal. It's designed to create the illusion of a 'floating' top, and the effect is a very light and open style. The integral pedestal on the Cleveland features two shallow drawers, and one deeper drawer as well to fulfill all your storage needs. The pedestal is finished in white PVC to compliment the top, which is 8mm thick toughened white glass. The Cleveland is often available from stock, and costs just £196.62 +VAT with free delivery and a one year guarantee included. We think this desk offers a fantastic opportunity for you to bring a stylish and classy glass desk into your office or home office without having to go overboard on some of the more executive glass ranges that we have available. We've recently updated our product range to incorporate some great new chair designs. They're all designed to bring something a bit different to the market, and offer excellent value for money as well. We offer all of these chairs from stock, and can generally get them out to you in around a week - although it often depends on a few factors, so your best bet is to get in touch and check this before ordering if you have a particular deadline in mind. The Eclipsed chair looks very much like your traditional operator's chair, but it has a contoured back for extra comfort as well as a range of adjustable options. As well as the gas lift height adjustment lever, it has a back tilt mechanism to maximise the comfort for every user. The Eclipsed is available in a choice of four stock fabrics, and can also be reupholstered in your choice of fabric on request. In the standard upholstery, this chair comes in at a little over £60 +VAT. This is one of our favourites at the moment - the Dura-Dy chair has a stylish and flexible nylon back with a breathable airmesh seat. The back is available in a range of colours to create the exact look you're after. Whether it's a modern and vibrant style, or a toned down and professional design you'd prefer: the Dura-Dy has something for everyone. When all of this comes for under £100 +VAT, what more could you possibly want? A more traditional mesh chair, the Nova-Tek design is very popular because of the stylish simplicity. It comes in all black, with a chrome five star base. It features a tilt tension control, which adjusts for an individual's weight and posture, and the generous padding in the seat offers fantastic comfort. This is another of our favourites, and costs less than £75 +VAT! Finally, we have a more executive option: the Harley chair. It's finished in a soft bonded black leather, and has a well padded seat and back, so there'll be no aches or pains after spending a long day at your desk! We don't think there's a better entry level executive chair than the Harley, but we'd love to know your thoughts if you think otherwise? The Harley costs a mere £88.80 +VAT, so make sure you get yours now! Don't forget that all of our chairs come with a free tailgate delivery, and also feature at least a one year manufacturer warranty, so everything that you see is absolutely what you get. We have our dedicated sales team on hand in case you're unsure about anything, so you can always give us a call if you need any help. Alternatively, we're (nearly!) always by our Livechat, so if you want to talk to us on our live instant messenger then just press 'chat' and we'll be right with you!